I’ve always known that Georgetown County was the third settled area in South Carolina following Beaufort and Charleston. All three cities predate the Civil War. Just recently, I found a tombstone dated in the late 1600’s, which means it also, predates the Revolutionary War. Through research, I discovered a town that was established in 1685: Willtown, or Willtown Plantation, interchangeably. It was an old English settlement, first named New London, and then later changed to Willtown Plantation in 1708. By 1745, the Act of General Assembly was in effect providing Charles Woodmason the permission to build the first store near Willtown in Black Mingo. The small Colonial town flourished so much that by the early 1800’s they had established a tavern, several homes and built a waterway on Black Mingo Creek for boats that carried local products back and forth between there and Charlestown. Prior to the Revolutionary War, a case of Malaria broke out and nearly wiped out the small town. 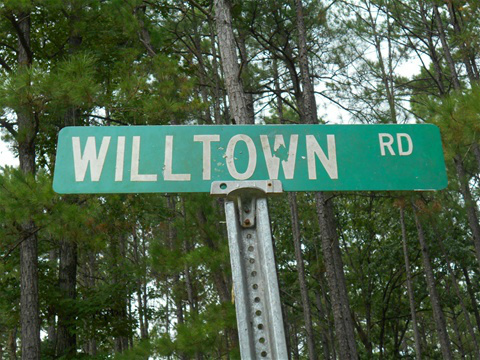 Although they were able to get back on their feet following the viral epidemic, many claimed it just wasn’t the same so they shorted the name of their dwelling from Willtown Plantation to just Willtown. This old English colony sat far enough away that the ride to town from Willtown to Black Mingo took approximately forty-five minutes to an hour by horse and buggy, or a couple of hours or so on foot. The post office was built in 1801 but later closed in 1824 (Black Mingo Post Office, which still stands, is now a convenience store known as “Mingo’s”). Around the mid 1800’s, Cleland Belin built Black Mingo Baptist Church on his own property. The church doubled as a meeting place for the township people and congregation. It was a simple two-story rectangular shaped structure with a cemetery surrounding it. The upstairs was known as the slave gallery where the slaves were allowed to attend worship services. In August of 1980, the National Registry listed Black Mingo Baptist Church as a historical site and placed a marker. The church was still active and held a steady congregation up to its demise in March of 2000 when it was burned to the ground. Barry Dean, a Nesmith resident, acted as my tour guide and led me to the site of this pre-Civil War church. Suffice to say, without Barry’s guidance, I would have never found this place. On the corner still stands a sign pointing the way to Willtown. In the center of the cemetery, you will see brick pillars where the church was once built, and all throughout the grounds, grave markers and headstones are found, including that of Charles Belin. “Look at the Rebel Flags,” I said, pointing them out to my host. “How did it burn down?” I looked around at the vacant area of the church grounds trying to visualize how a fire could be started. As we began the trek around the grounds, Barry warned me about wandering into the wooded area citing he’d found several rattlesnakes out there already. I heeded his warning and stayed close to the established, fenced in, graveyard. I did note that a few concrete headstones were resting up against trees as if someone laid it there for just a moment and were possibly coming back to tend to them. Near the back of the cemetery is a lone cement stone marked Bill. “Bill was a slave who was respected, honest and trusted,” the gravestone reads. He was in charge of much of the products and merchandise that were delivered in Willtown. The fact that Bill had a stone marker and not a wooden one told me he was important to the town and, yes, he was respected. They cared enough to give him the highest honor in death, a stone marker. “Is this place haunted?” I asked Barry. I’ll take his word for it and if I ever can find the place again, it will be during the daylight hours. I thanked my host for the tour and then followed him to a reputed nearby haunted house.